At Land Rover Colorado Springs we want your service experience to be a positive one! 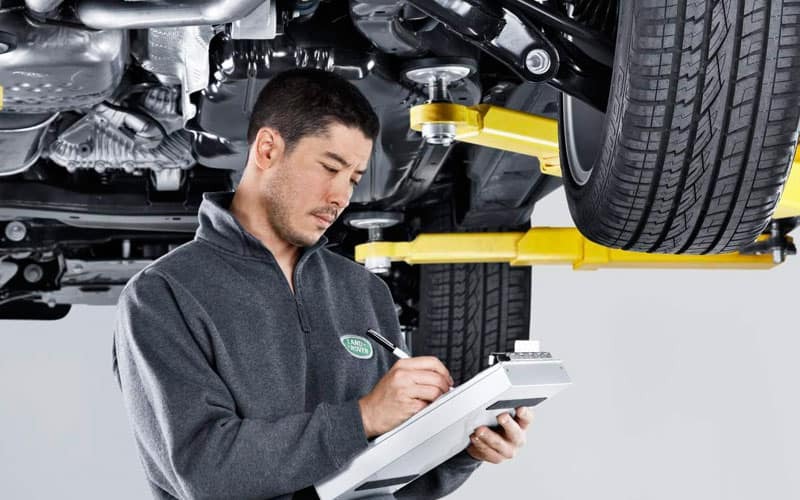 So, you can rely on our team of qualified Land Rover technicians to be standing by to help you out with just about any maintenance or repair for your vehicle – from oil changes to transmission problems, we have you covered! Our team’s knowledge of your Land Rover vehicle benefits you tremendously through efficient and accurate vehicle service. If you’re coming in for a regular maintenance or you have a larger vehicle issue, use our online service scheduler or call us today at 719-302-1000. Make Land Rover Colorado Springs your choice when it’s time to give your Land Rover some extra attention!